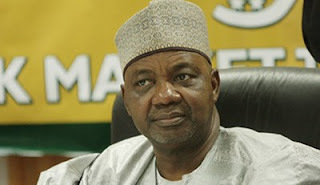 Ibrahim Idris Wambai, the former Accounts Officer II, has revealed that that the Office of Nigeria’s former Vice President Namadi Sambo was on a monthly stipend of N20million from the Office of the National Security Adviser (ONSA) led by former NSA, Sambo Dasuki. He pointed out that some presidential aides also benefitted from slush funds from the ONSA, singling out five firms which were used as platforms by some people to receive funds from the office. Many prominent Nigerians and leaders similarly drew huge funds from the office. Records of all cash payments to such individuals and organisations are still intact, he said in a Statement of Witness/Accused Person which was filed by the Economic and Financial Crimes Commission (EFCC) in the High Court of the Federal Capital Territory and obtained by The Nations newspaper. “So many cash payments were made on a monthly basis to the following beneficiaries: Office of the former Vice President, Arc. Namadi Sambo (N20,000,000). The money was being collected by former Deputy Chief of Staff; ADC to former President (amount not known but in cash payment files; Chief Personal physician to former President Goodluck Jonathan; former coordinator on anti-terrorism, Gen. Sarkin Yaki; former Director PC4, Gen. Terba Waya (rtd); Personal Assistant, Domestic Affairs to ex-President Goodluck Jonathan. He named firms allegedly used for curious transfers from the ONSA. His words: “The amounts of the five companies are ACACIA Holdings Limited (N600,000,000) via account no. 1017330319 with UBA and N650million via account no. 0122012650 with ECOBANK Nigeria Limited; Reliance Referral Hospital Limited (N750m) via account no.2022394057 with First Bank Nigeria Plc; Jabbama Global Nigeria Limited (N400m) via account no. 1013898095 with Zenith Bank; and Continental Development.